﻿Thank you to everyone who attended and contributed to the 2016 Caritas Gala, co-hosted by the Irene Dunne Guild in partnership with Saint John's Health Center Foundation, at the Beverly Wilshire Hotel on October 22nd. 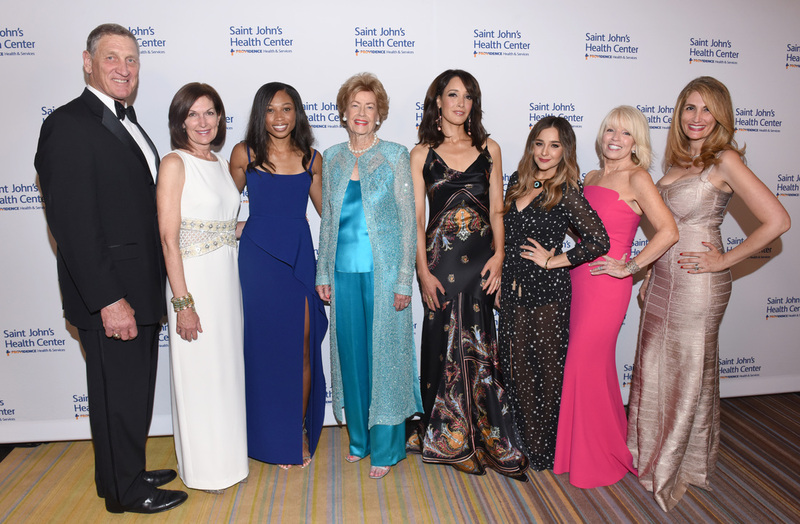 The black-tie event honored Jennifer Beals with the Caritas Award; Allyson Felix with the inaugural Hope & Inspiration Award; and Kathleen McCarthy Kostlan, on behalf of the Thomas and Dorothy Leavey Foundation, with the Spirit of Saint John’s Award. The Caritas Gala honors individuals who exemplify dedication and commitment to the community and embody the philosophy and mission of Saint John’s.